John Tucker | Bloomberg Media Talent | Bloomberg L.P.
John Tucker is an anchor on Bloomberg Radio. John Tucker is an anchor on Bloomberg Radio. 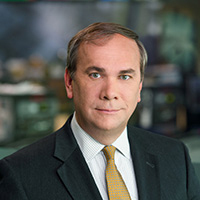 He appears on Bloomberg Radio’s weekday morning program, “Bloomberg Surveillance,” in addition to anchoring the nationally syndicated “Bloomberg Small Business Report” and writing breaking news headlines for Bloomberg News. Tucker is based in New York City. Hand-picked by founder Michael Bloomberg in 1993 to anchor and report for Bloomberg Radio in New York, Tucker has been a respected radio personality for over 25 years. He has covered major stories throughout his career, including the Asian debt crisis, the dotcom boom and bust as well as live reporting on the 9/11 attacks. Tucker also helped direct coverage of events leading to the collapse of Bear Stearns. He was among the first in the news media to report on a halt in redemptions for two Bear Stearns funds, the fall of which led to the global credit crisis. Tucker has been the recipient of the New York State Associated Press Award for Best Newscast, the United Press International First Place Award for Individual Achievement, the New Jersey Associated Press First Place Award for Best Documentary and the Society of the Silurians award for Radio Spot News. Tucker holds a bachelor’s degree in science from Fairleigh Dickinson University.